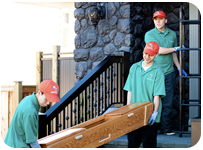 If you’re in a large city like Vancouver, you might be surprised to find a wide selection of junk removal services in Vancouver to choose from. You might not even know what separates them, or even how to contract their services. That’s what this guide is all about: setting the stage for convenient junk removal. First and foremost, you want to make sure that they are as close to your general location as possible. You don’t want to find that you’re not going to be able to actually get the services you need without paying an extra surcharge for the distance the company has to cover in getting to you. Another point that you want to keep in mind is that you have to be as precise as possible so they can figure out how much effort will be needed for your project. This includes having the right sized truck to haul off everything, and how many team members will be needed to give your project the attention it deserves. 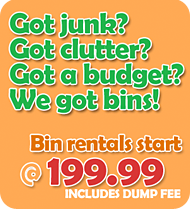 So when you call a junk removal service, you need to specify how many rooms you’re trying to handle at the same time. If there’s a rush job that’s needed (like for an upcoming move), you will want to make sure that you’re letting the company you ultimately select know this ahead of time. They will give you an estimate of how much to expect. Junk removal estimates are very important, for obvious reasons — you don’t want to go over budget. There’s no need for it, especially when there are so many competitive services available. However, it really is about letting the company know what you actually need. Of course, you might have questions along the way, especially if you’ve never contracted this type of service before. Make sure that you take care of getting your questions answered before you commit to any service. There’s absolutely nothing wrong with having concerns as a buyer, but there is something wrong with a company that doesn’t deliver. Good luck! 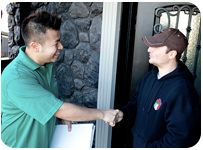 Call Student Works Disposal for junk removal services today! 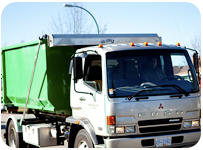 SW Disposal provides junk removal in Vancouver. 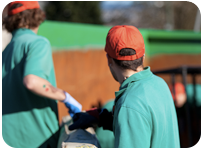 We have honest rubbish removal rates, curbside junk removal quotes, and professional staff that ensure your job gets done right the first time.